Lots of retailers do top 10 lists of the new toys they think will be best sellers at Christmas. 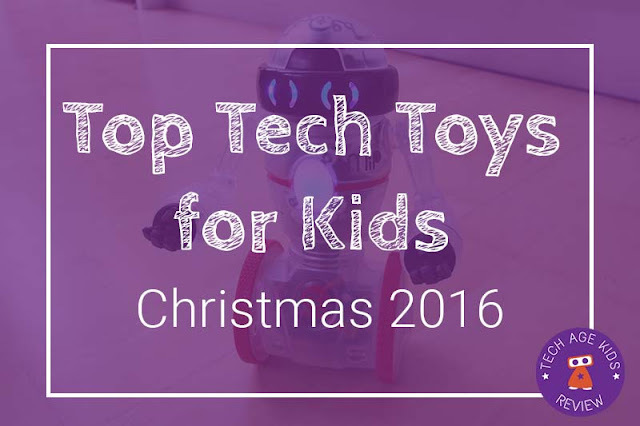 Here at Tech Age Kids we've put together a list of the top new toys that will help kids learn tech skills while also being fun enough to make an exciting Christmas gift. 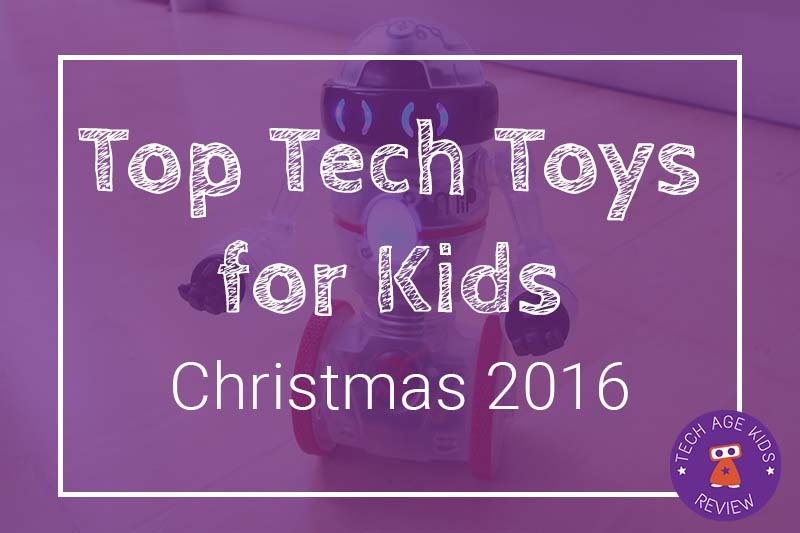 This year is a great year for toys that develop kids tech and coding skills. It's nothing new to have toys that develop useful skills in kids, it allows them to find out what they're interested in and invest time that might not be so freely available later in life. Think of all the engineers who say they played with Meccano (Erector) sets when they were children. Lots of today's kids will end up working in tech professions, tech toys can help them develop the right skills and find out if they have an interest that they want to develop. Our list is ordered by rough age suitability (there's a lot of overlap) so you'll find toys and gadgets for little kids at the top and for older kids towards the bottom. These are all products that are new for 2016. There are of course lots of cool products that weren't released this year so do check out our other gift guides. You'll see a lot of robots this year (we love robots, so this is great) but we're also starting to see some other kinds of product which allow kids to understand everyday technology and become digital makers. 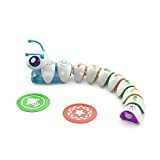 The Code-a-pillar is a programmable toy for the littlest coders. Kids from age 3+ can slot together segments of the Code-a-pillar's body to create a simple program. It's a neat idea. Make sure you've got plenty of space for this toy. See our Code-a-pillar review for more details. Coji is a cute little robot that can be programmed via Emoji symbols using the accompanying app. Coji comes with games to play as well as activities that develop early coding skills. You can also download programs to Coji for non-connected play. Coji is recommended for children aged 4-7 but we think Coji is also good for 8-9 year olds if they haven't had a lot of coding experience. See our Coji review for more details. The Geckbot is a buildable toy that uses air pressure and suction cups to climb! This offers something a bit different to other buildable robots which usually focus on just motors for movement. Kids can build 6 additional models with the kit and there's information about the science behind the Geckobot too. We're very excited about the Tech Will Save Us Mover Kit, this new programmable wearable gadget for kids launched on Kickstarter earlier this year. If you missed the Kickstarter, you can order the Mover Kit now, delivery begins in October 2016 so they will be available for Christmas. We'll put up a review once ours arrive. Age: 8+ littleBits make modular electronics components that can be used to make awesome electronics contraptions. Their new Rule Your Room kit enables kids to make some fab contraptions for their bedrooms. You can even build stuff with touch inputs and control games on a computer. There's lots here to keep kids busy. Bloxels began as a Kickstarter crowdfunded project and is know available to buy. Kids use a physical pixel board to design sprites, objects and layouts for their games. They then take photos with the Bloxels Builder app and use their pixel art to create animated characters and games. You can read our review of Bloxels for more details. 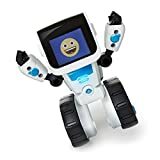 WowWee have released the Coder MiP programmable robot for children aged 8+. 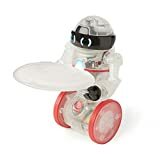 The MiP gyroscopically balancing robot is a popular tech toy, this new transparent version is programmable using a block-based language on a mobile device. The Coder MiP has all the features of the original MiP, plus extra accessories so it's a really entertaining tech toy. The coding is an added bonus. See our review of the Coder MiP for more details. Elenco have been making Snap Circuits kits for years. The basic approach is tried and tested. 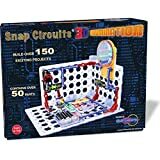 The Snap Circuit 3D Illumination set takes things further and adds 3D building and includes a funky light tunnel. As always with Snap Circuits you get detailed instructions for lots of projects to build. The Bose Build speaker is a speaker kit that children build. Kids get to learn how a common electrical item works and complete fun projects to learn about the technology. At the end they end up with a good quality Bose speaker that they can actually use. It's great to see tech manufacturers helping kids to find out what's inside their technology rather than just seeing speakers as, well, black boxes. The Makeblock mBot Ranger is a 3-in-1 robot kit that uses metal parts which kids assemble with nuts and bolts. The mBot Ranger can be programmed in an app or with Scratch for younger children or using Arduino for more experienced young people. 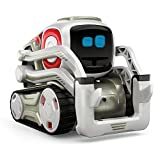 We recommend the mBot Ranger for kids who are keen techies and want an option that they won't grow out of too quickly. See our Makeblock mBot Ranger review for more details. Cozmo from Anki is an interesting new toy because of all the technology that's packed into it. Anki aim to create a robot with real personality, like the ones you see in the movies. Cozmo is a great way to get some of the latest robotics technology in the hands of kids so they can see what's possible. 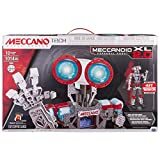 Yes, Meccano are still here and their system has got an update with the intelligent brain of the the Meccanoid 2.0 and 2.0 XL. As well as being bigger the XL version has a rechargeable battery. The Meccanoid range is a good choice for kids (or families) that want to spend time physically constructing a robot. The end result is a very entertaining robot that kids will have a lot of fun with. There's not so much scope for real coding with Meccanoid but that may come in future. Meccanoid is now programmable (this applies to older models as well as the 2.0 versions.) See our Meccanoid behaviour builder review for more information. The Code Gamer from Thames and Kosmos is an interesting new kit for learning about electronics. The Code Gamer is a wireless Arduino-compatible games controller with plug-in sensors. You use the Code Gamer with an iOS or Android tablet and work through challenges and puzzles to learn Arduino coding. We're loving the trend to get kids understanding what goes on inside their tech rather than just passively using it. We often use 3D printers in our projects so it's great to see 3D printers being designed for a younger audience. The da Vinci miniMaker 3D Printer from XYZprinting has a non-heated bed and uses only the safer PLA filament for printing. It has a smaller print bed that most 3D printers but most things that kids want to print are small anyway. Read our hands-on review of the da Vinci miniMaker.